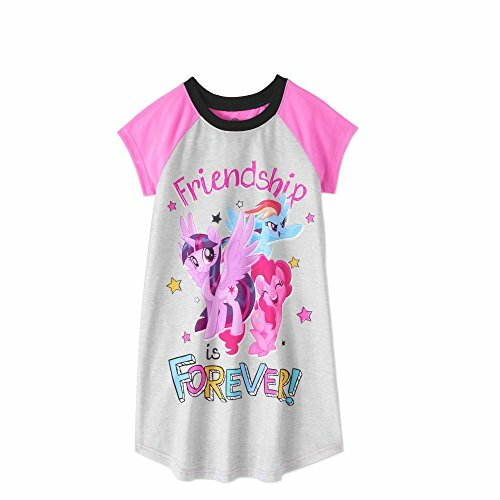 Your little girl will love sleeping and lounging around in this comfortable My Little Pony Girls' Poly Gown. It features a cute front graphic that says plenty, while the rest of this piece is designed to ensure your little ray of sunshine makes the most of her beauty sleep and time spent indoors. This sleep gown is made of a soft poly jersey fabric for extra comfort. It is also flame resistant to meet U.S. Consumer Product Safety Commission sleep requirements to keep your child safe and sound. Light weight, crew neck, Licensed gown.